Stuart’s latest project has a current Kickstarter campaign running in order to secure the funds to produce a book with publisher, Dewi Lewis and as the door closes for backers on the 15th May, we suggest you pop over to get behind this great project. 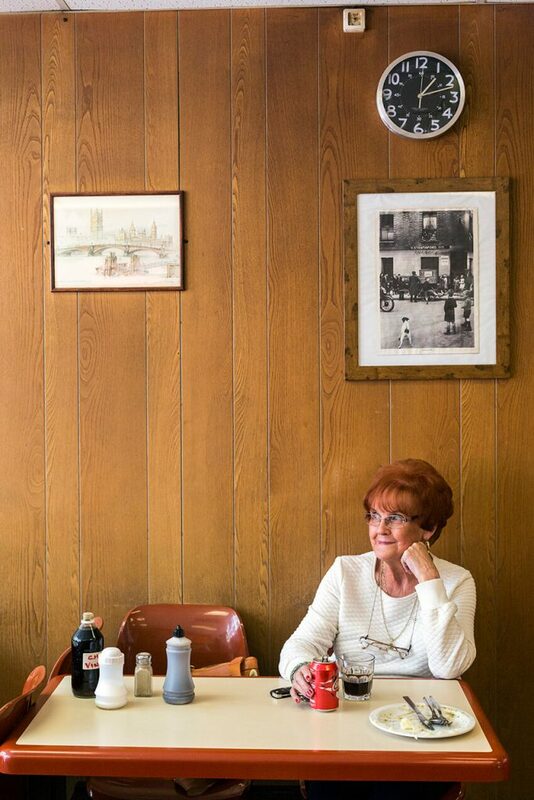 A snapshot of traditional London and Londoners. An honest and real London, which may not manage to survive the onslaught of Starbucks, Pret, [and the likes]. The first recorded eel and mash shop appears to have been Henry Blanchard’s in Southwark in 1844 and Robert Cooke opened his first shop in Clerkenwell in 1862, but it took an Italian immigrant Michael Manzi, a peasant from Ravello, to open the first eel empire starting with London’s oldest remaining shop on Tower Bridge Road in 1891. 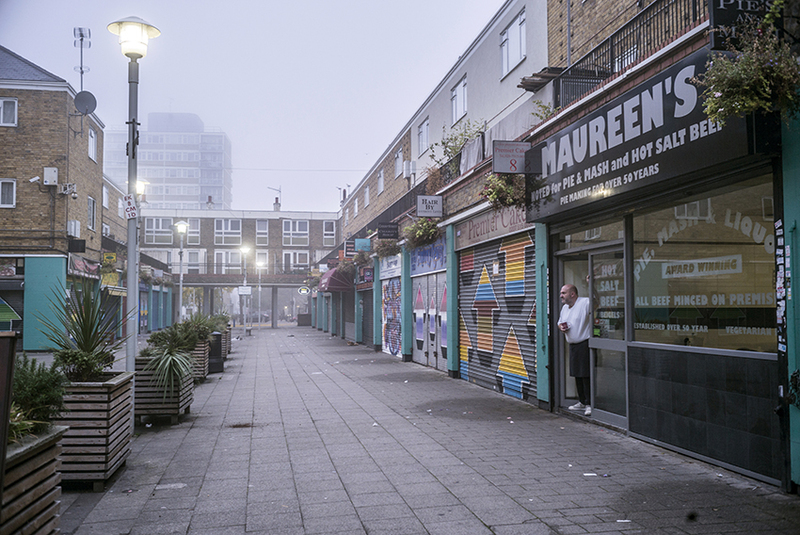 In the early morning mist of dawn, Jason Patterson opens the shutters at Maureen’s Pie and Mash shop, Poplar, East London, United Kingdom. These simple spaces hold within them the memories of a rich, largely undocumented cultural heritage of generations of working-class Londoners in a city whose only constant is change. I grew up in East London in the 1970s, then a byword for poverty now a metaphor for gentrification. The streets then were navigated by pubs, rough, cheap cafes and eel, pie and mash shops. Often elaborately decorated with ornate Victorian tiling, many sold live eels in metal trays that faced the street to the fascination [and sometimes horror] of passersby. Inside, warm comfort food. Steam. Tea. Laughter. Families. Already in decline by the mid-century, the shops were still dominated by a handful of families and passed down through generations. 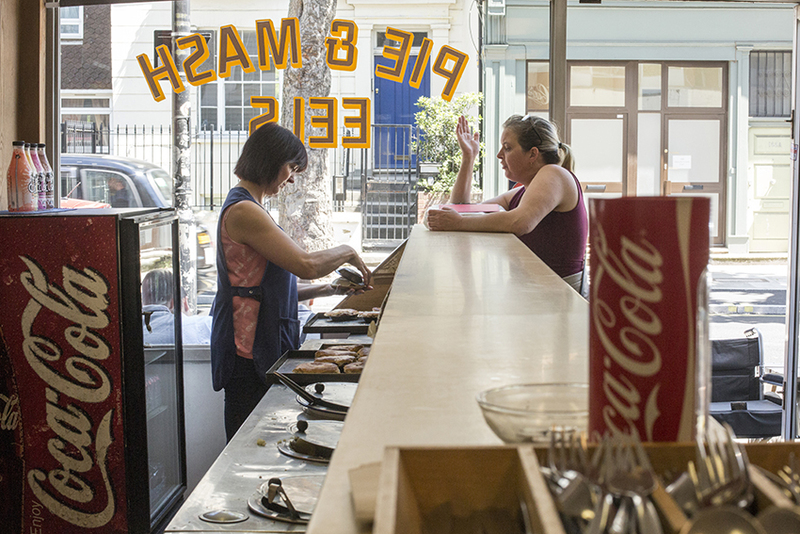 Today’s eel, pie and mash shops are now havens for what the East End once was and for me who has spent much of my twenty-five year career working in the Developing World, they are a portal back to my own past and a way of examining the change that has taken place to the culture that I left. 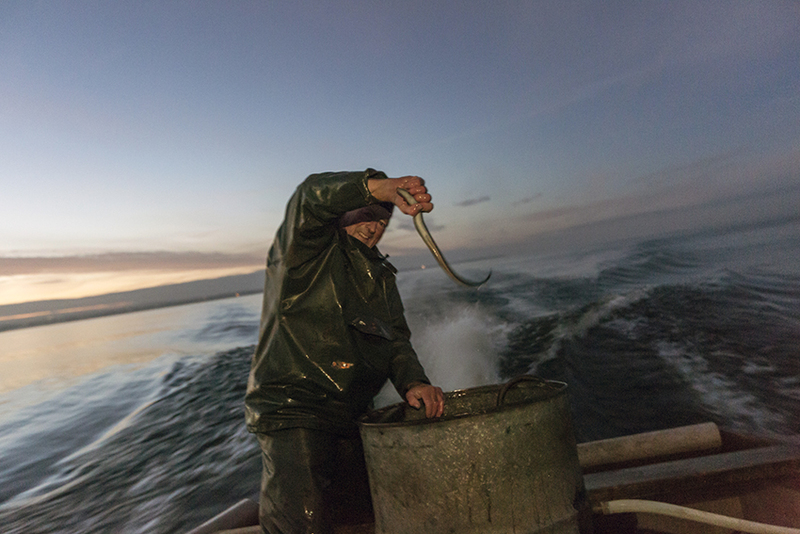 The work is however, expansive: I’ve travelled to Lough Neagh in Northern Ireland to photograph eel fishing. 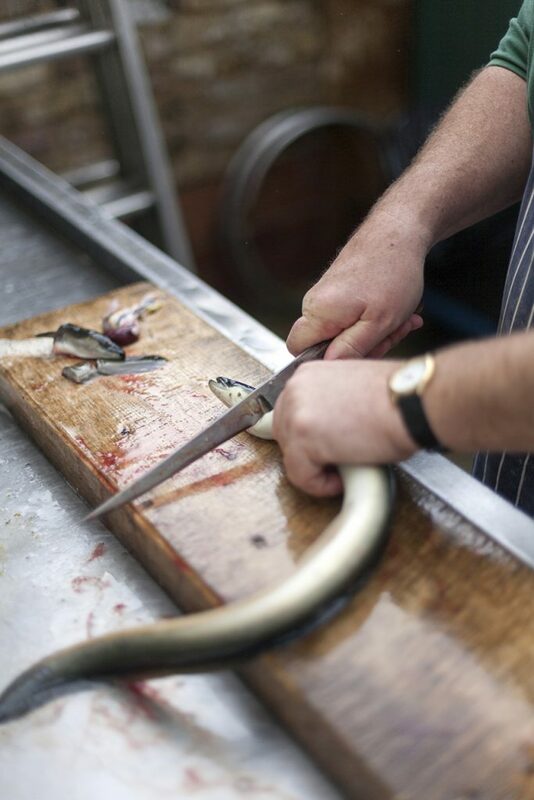 I’ve made work at both Barney’s and Mick’s Eels, the two companies that process the fish. 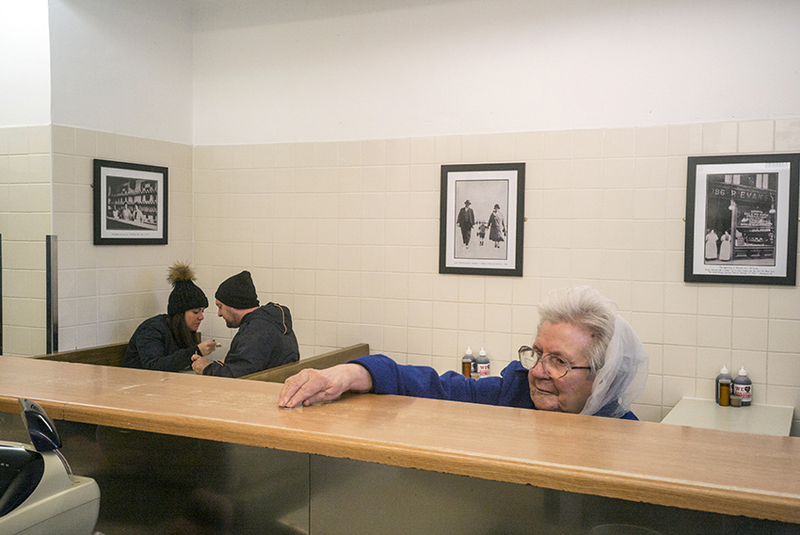 I’ve photographed and written about Millwall fans [who sing of the eel] and recorded those that now eat their pies and eels at home, too elderly and frail to journey to the shops. Lastly, I have followed the bleed of the East End to it’s new spiritual home in Essex where Pie and Mash shops are undergoing something of an renaissance. Identifying as they do with a re-imagined and distilled working-class culture that is geographically seperate from their traditional roots. The Englishman and the Eel is not an encyclopaedic record of every shop, rather I’ve documented what I believe to be most interesting and significant ones to make a book that I hope is a tribute to a changing institution and I’ve used the eel as a metaphor and symbol of that cultural change. The book will again be published by Dewi Lewis late in 2017. Stuart was born in London in 1967 and has been a photographer since 1991. He has covered stories from Albania to Afghanistan and from former Yugoslavia to Haiti, and been published in Life, Geo, Time, National Geographic, Der Spiegel, Newsweek and Paris Match. Represented by Panos Pictures, Stuart’s work has received awards from Amnesty International [twice], Pictures of the Year, World Sports Photo Award, the Royal Photographic Society, and UNICEF. Once more – please visit Stuart’s Kickstarter page to back this new project and to ensure that you have your own, limited copy, of this fantastic book.